Nicole C.’S Elf is looking comfy cozy and ready for bed. I love the note attached! 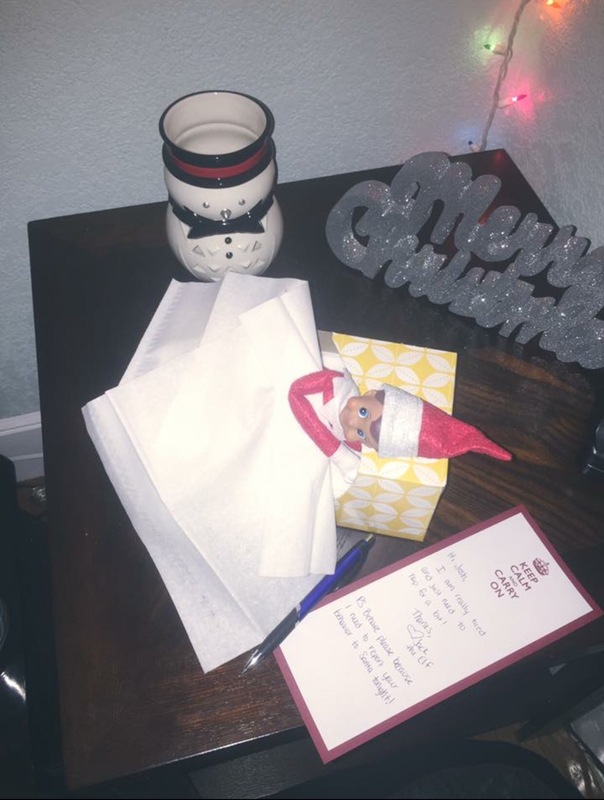 Becky G.’S Elf is all set of a bitter cold day! 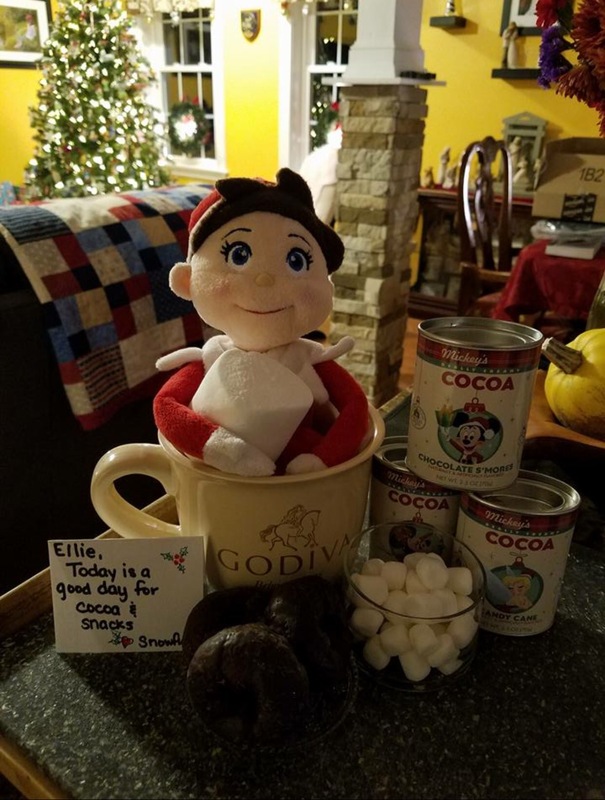 Ummm, I’ll have some cocoa too, please. 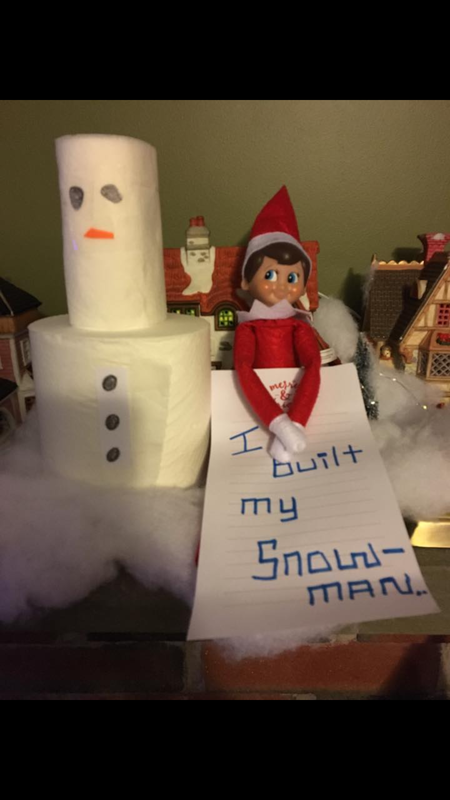 Rosemary P.’S Elf was busy making a snowman during the night. I think the face is my favorite part. More to come tomorrow my friends. But in the meantime, keep those creative juices flowing and don’t be afraid to send me your pictures. Winner gets a awesome prize!